Translation of the Yoga Vasishta Ramayana, an 11th century treatise on Vedanta. The Yoga Vasishta Ramayana is an eleventh century (CE) text (some would have it as early as the 6th century) and one of the early extant treatises on Vedanta. Abridged from a voluminous tome of 30 odd thousand verses to 6,000 containing the esoteric teaching of the Ramayana, this volume is pared down further to the essentials, hence The Last Word. 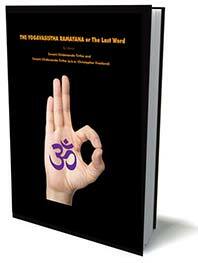 As is common to the Indian tradition in such matters, it is in dialogue form, here between the sage Vasishta and Rama. 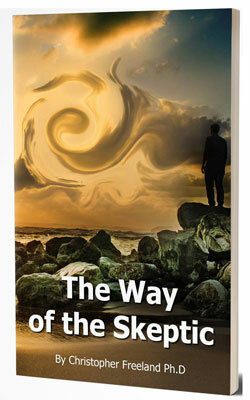 Unlike the Gita, which albeit very inspiring and wonderfully enriching as it meanders in a more worldly and human context, the YVR is as fresh today as it was no doubt when Valmiki wrote it a thousand odd years ago, contains a simple and compelling message, going directly to the point and repeatedly driving home what is required for man’s salvation. 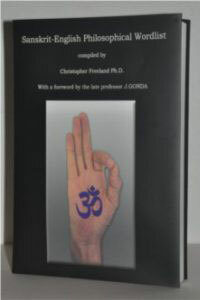 The original Sanskrit text was translated and edited by Swami Pranav Tirtha and Swami Chidananda Tirtha (aka Christopher Freeland). Price: $9.99 for the ebook.